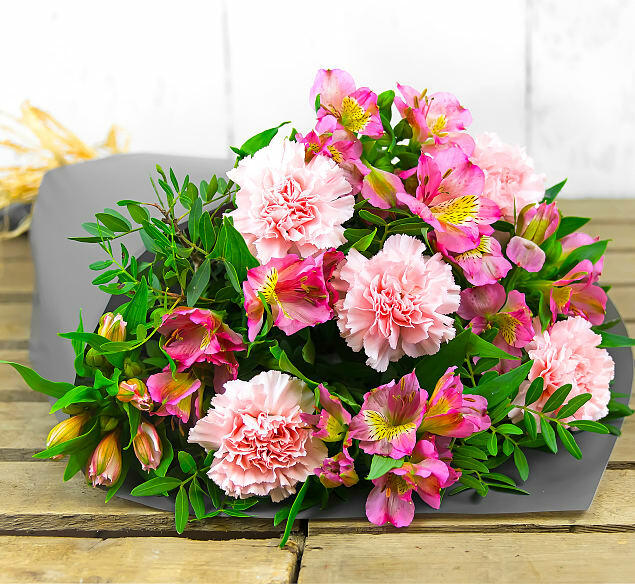 A gorgeous bunch of pink carnations, alstroemeria, and pistacia perfect for any occasion. 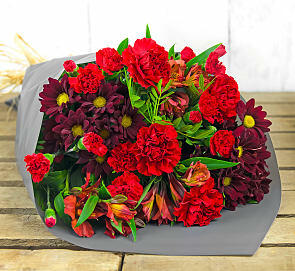 All of these carefully selected flowers are lovingly arranged and wrapped for the ideal presentation. Send this bunch and show somebody just how special they are!